The trio had their debut concert at the Blow Up festival in Oslo, Norway; summer 2011. Since then they have toured Norway, USA and Australia and recorded several CDs. Gjerstad and Nilssen-Love´s collaboration goes back to 1992 when Frode formed Circulasione Totale Orchestra together with a rock band and Paal. Since then, they have worked together in various settings as duo, trio and quartets; sometimes featuring guests like Jeb Bishop, Bobby Bradford and Peter Brötzmann. CD releases include a handful of 14 titles with various groups on different labels all around the world. 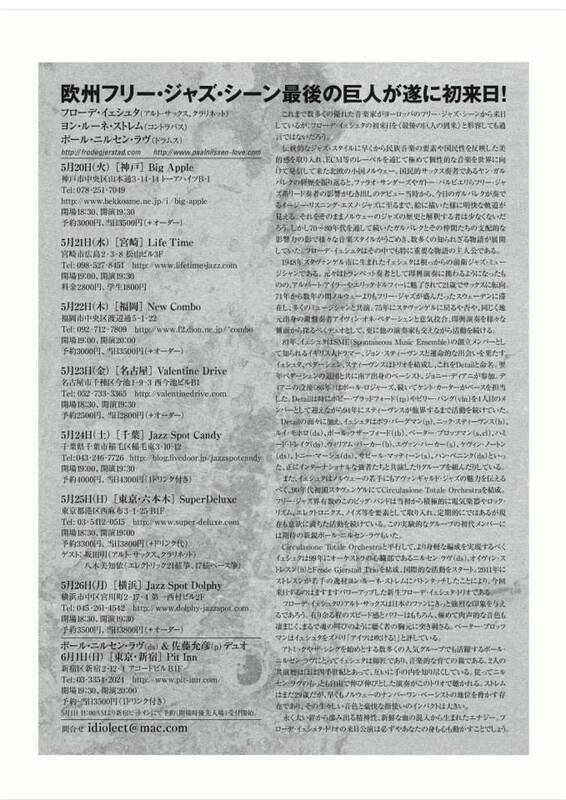 Amongst them are "The Blessing Light" from 2001 on Cadence rec., "Sharp Knives Cut Deeper" on Splasch rec. with Peter Brötzmann, "Last First" on Falcata Galia rec. and "St.Louis" on FMR rec, "Mothers and Fathers" and "Nothing is Forever" on CTO rec. Latest release is on PNL rec, "Hide Out". Next out is a recording from December 2013, recorded live in concert in Moscow. The trio's music has its roots in the free-jazz tradition, the way it was defined by Coleman, Mingus, Dolphy and Coltrane. All tough, the trio also takes inspiration from the European free scene. Frode Gjerstad has for many years declared his enthusiasm towards small line-ups, and especially trio. The trio line up gives space for the musicians, but is at the same time very depending on the musician's physics and musicality. With over 20 recordings as a leader he has established himself as a major saxophonist on the international scene. His trio´s has included Johnny Dyani, Kent Carter and John Stevens, William Parker and Rashied Bakr, and; William Parker and Hamid Drake, whom he toured in Europe with in 2010. Jon Rune Strøm has emerged the Norwegian scene as a bassplayer with extremely high energy and stamina. Taking inspiration from William Parker, Johnny Dyani and Harry Miller, he represents a new generation of Norwegian bassplayers. 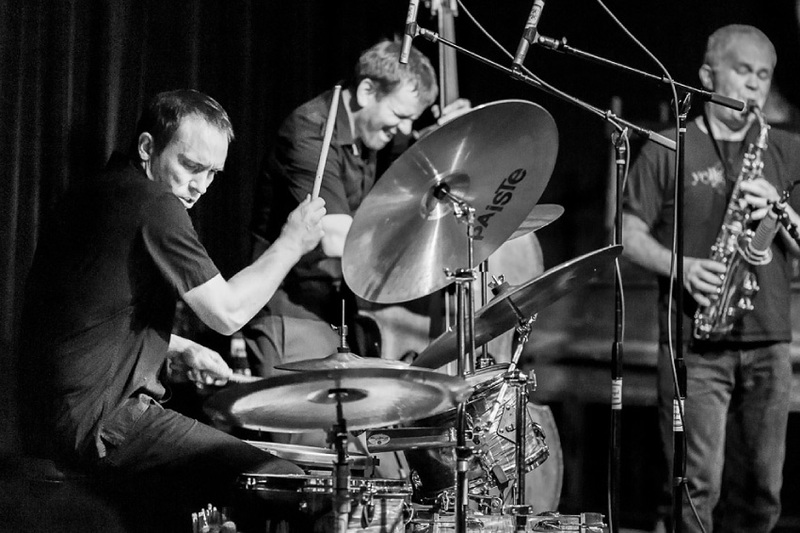 Paal Nilssen-Love is Norway's most active drummers and has established himself as a powerful and a most dynamic musician through regular groups with Mats Gustafsson, Ken Vandermark, Peter Brötzmann and Terrie Ex amongst others. The trio did an extensive tour of Australia and New Zealand in January 2012 and also in North America in December 2012, then a longer tour in South America in April 2013 and Europe (including Russia) during the fall of 2013. 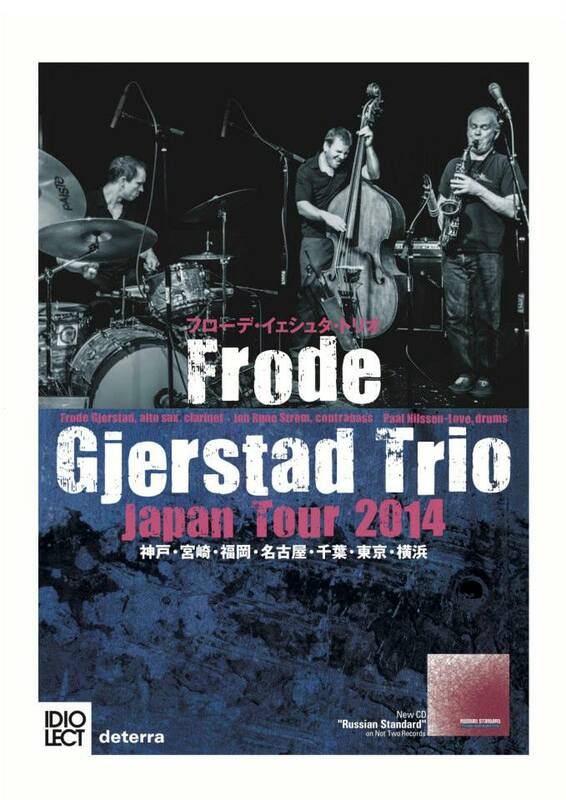 Next out is Japan in May 2014.